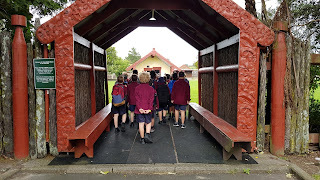 THANK YOU MATUA ARAZ for preparing us for our wonderful visit to the HOANI WAITITI MARAE. VALUING and LEARNING from the cultures of others has been a real highlight to term 3. 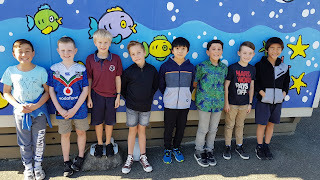 We have really enjoyed creating some special art works about NZ's unique fauna. PERSUASIVE SPEECHES and CALENDAR ART are always valuable ways to communicate our cool ideas and show our CREATIVE TALENT! 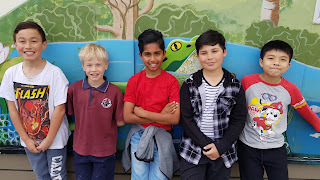 Congratulations to Corban & Slavah for representing our class in the Year 5/6 Speech Finals. 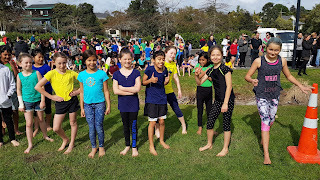 Our 2018 CROSS COUNTRY was a brilliant display of DETERMINATION, RESILIENCE and STAMINA! Special congratulations to Marceline (1st Year 5 Girls) and Jacob (3rd Year 5 Boys). We are HARD WORKERS and HARD CASES! Supporting our buddies to help them make POSITIVE CHOICES is what it's all about!